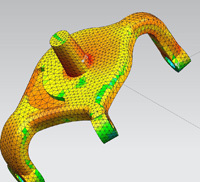 Simulate simple components that undergo nonlinear behavior (such as a plastic catch), or complex assemblies (such as a car body roof crush analysis), using nonlinear implicit and explicit analysis solvers. 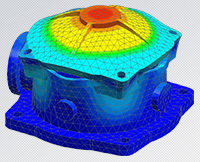 Evaluate the effects of a full range of dynamics problems such as transient, frequency, random loading, shock response and rotor dynamics. 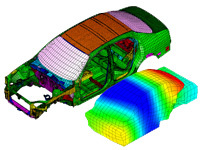 Quantify NVH characteristics of vehicles, and efficiently solve large, computationally intensive models.